"If the litmus test were not just need, but virtue, Jessica Neafsey’s clothes would warrant reward. 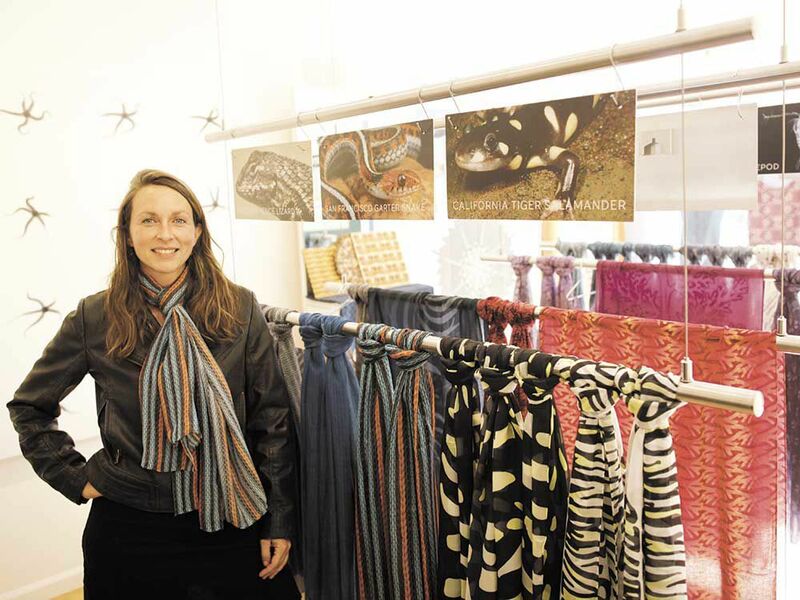 She creates clothes with animal patterns uncommon in greater fashion, but native to our landscape – the Western scrub jay, plankton, Pismo clams, the Western fence lizard. That sounds like a progressive and enlightened fashion statement." 102.3 FM and worldwide at radio.dominican.edu. "Meet Jessica Neafsey, ecologist, designer and more . . . and she's doing it! She is creating clothing designs that help feed our curiosity and our conversations about the natural world with her line Anima California. A progressive and compassionate thinker - I look forward to our talk about fashion and what we can do every step of the way. Note - her models stand for what they do in life instead of just outside beauty - it's what you do in life that counts! Her efforts help support Mission Blue."